Since the Stone Age, humans have loved saving food for later. Like giant industrious squirrels, we’ve invented many different techniques for preserving our metaphorical nuts: freezing, salting, drying and canning them for the cold winter to come. The first fruit preserves were probably created in the Middle East in the fourth or fifth century using honey. Sugar didn’t enter the picture until about the 11th century when Europe finally got a taste of the precious white stuff. In the High Middle Ages, sugar was a treat reserved for royalty and the very rich ($50/lb. in today’s money). Marmalade is thought to have been invented by a physician in 1561 to cure the seasickness Mary, Queen of Scots was experiencing. Centuries later, gelatin would be used to create the first jellies in the kitchens of the rich, but it was the invention of powdered gelatin in 1682 that finally made the product more affordable for the average person. Today, the U.S. produces about 1 billion pounds of fruit spreads (jams, jellies, preserves, marmalades, fruit & honey butters) annually. That’s about 2.2 pounds per person each year. Into this proud tradition steps Sara Levasseur of New Orleans’ Jamboree Jams. 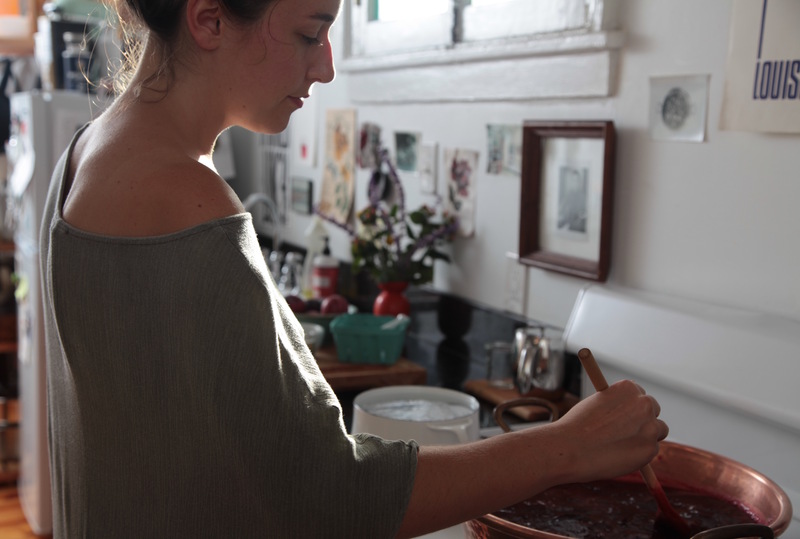 First taught the art of jam-making by her grandmother Bev back home in Canada, Levasseur has turned a college hobby into a full-time business. 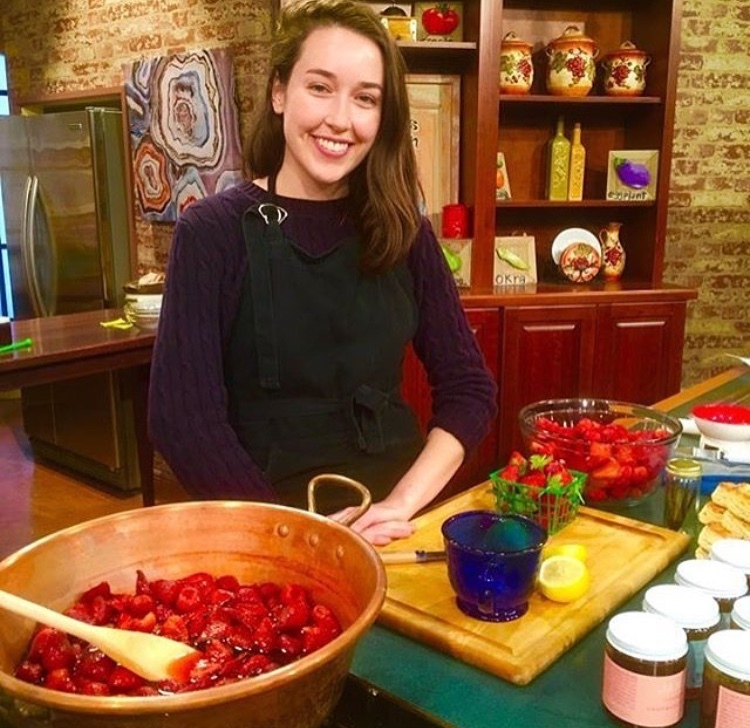 Jamboree Jams is a small-batch preserving company that uses local fruit, herbs and natural, unrefined sugar to create jams that are inspired by the seasons and flora of the area. Jamboree jars can now be found online as well as at the Tuesday and Thursday Farmer’s Market, The Southern Food & Beverage Museum’s gift shop, Seasoned, St. Roch Market, Simone’s Market, Church Alley and The Ritz Carlton hotel, all in New Orleans. How did you go from homemade jam to a small-batch jam business? I used to sell jam when I was in university (mostly to my professors) for a bit of extra income. When I moved to New Orleans to work as a personal assistant, I became really interested in all the fruit available here that I had no access to growing up, namely citrus and figs. I eventually quit that job and started pursuing jam full time. How difficult is the jam-making process? Is it something you need specialized equipment for? Jam-making can definitely be accessible. You don’t necessarily need special equipment, but there are some affordable tools like magnetic lid wands and jar funnels that make the process much easier. I use copper jam pans because copper is a great heat conductor, and you want the jam to cook as quickly as possible in order to hold onto the fruit flavor. The wide shape of copper jam pans are also great for reducing the jam down quickly. A copper jam pan is a true luxury and by no means necessary; any wide — ideally not too tall — pot will do. Did you do any market research or testing before starting out? Was there much competition? I did a lot of market research and testing before starting out because I had to submit a detailed plan in order to get a visa to stay in America and work making jam. It was a very helpful process to go through. There are definitely other jam makers around, but everyone is pretty supportive. It feels like there’s room for different expressions of a similar thought. How do you develop your flavor profiles? I start with the fruit, work with whatever is in season and then look for a nice pairing. I try a few things out before settling on a favorite. I stick with winning flavor combinations year after year but like to throw in a few new ones to see what people prefer. What flavors are in your online shop now? Brandied Orange, Spicy Satsuma, Peach Rose Geranium, Honeyed Grapefruit, Blueberry Star Anise, Strawberry Vanilla, Mayhaw, Blackberry Purple Basil, Fig Lemon Balm, Plum & Cardamom. Your jams do not include commercially produced pectin like most jams found on store shelves. Why is that, and what do you use instead? Editor’s note: pectin is a naturally occurring substance found in the skin of fruits like berries, apples and citrus. It is produced commercially as a white to light brown powder for use as a gelling agent, particularly in jams and jellies. I like making jams without added pectin because it makes the texture less gelatin-like. I think it makes for a nicer, more fruit-forward flavor. Also, because all the fruit I work with already has plenty of pectin within it to ensure a nice set. Have you ever made a jam that tasted delicious but was too ugly to serve? I’ve definitely had jam turn an unpleasant color or texture if the fruit isn’t fresh enough. It’s always a bit of a heartbreak to throw a batch away. We ship jam across the United States — you can order on the website! Yes, we do have a jam sampler pack, also available for purchase online. It’s three baby jars, and it comes in a really nice little box. What have you found is the best way to market & sell your jams? Instagram is really helpful, as is getting my jam on the shelves of different cafes and stores I like — so that people start to see it around. Doing joint projects with local businesses like Levee Baking Co. has also been great for getting the word out. How did you get your jams into stores and restaurants across New Orleans? A lot of just going in to meet the owners and seeing if they’d be interested in either using our jams or retailing them. I called the front desk of The Ritz Carlton hotel one day, and they happened to be looking for a new jam person, so it’s always worth a shot! What’s been your biggest surprise since starting Jamboree Jams? What have you learned the hard way? My biggest surprise has been how wonderful Jamboree has been as a platform for meeting other extremely supportive business owners, farmers, and friends alike. Betsy Lindell, who owns Seasoned, lets me borrow her truck so that I can do the farmer’s market and go to the commercial kitchen on production days. Christina Balzebre of Levee Baking Co. has opened her kitchen to me and taught me so much about bread and pastry. I’ve learned how challenging it is to make a small business sustainable, both in terms of expended energy and financially. It takes an endless amount of support and community. What’s the future look like for Jamboree Jams? I’m always working on increasing accessibility to my jams. I’ll hopefully get into a few more shops before the year is through. I would love to eventually have a little corner shop retail space for jams, toast, jelly donuts, coffee, etc. What’s the difference between jams, jellies, marmalade and preserves? Jams are made with fruit pulp and juice, jellies are made with just the juice, marmalades are made with citrus pulp and rind, and preserves encapsulate them all and include pickles, etc.